There are just some mornings worth getting up early for! (Bet you thought I was going to say something about staying in bed!) This particular morning, my dear hubby, almost always up before me, peeked out the window, recognized a special atmospheric condition I would appreciate and brought it to my attention. I jumped out of bed, grabbed my gear and headed out. He’s a good man! 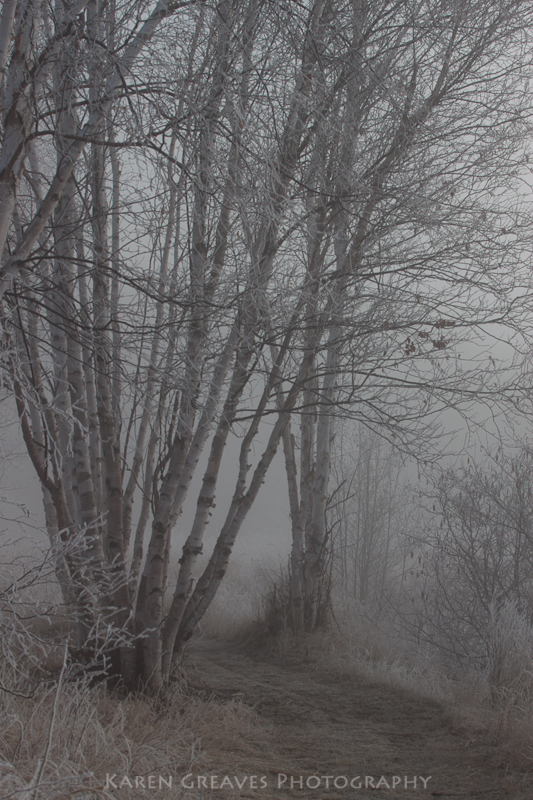 Fog was thick and temperatures hovered around zero Celsius. 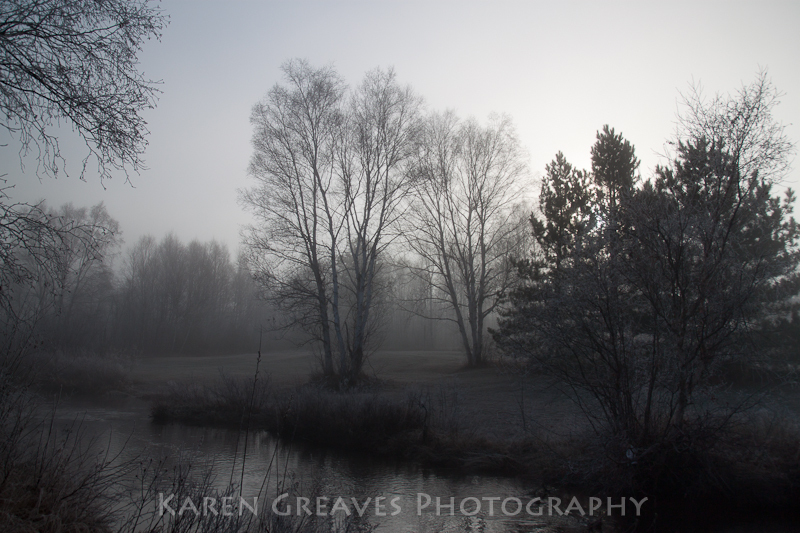 I knew both the fog and frost would disappear quickly. It was so incredibly beautiful. The lack of colour in the initial shots is striking! With brightening skies, colours emerge. You ‘ll have to wait to see the transition to clear skies that morning…..